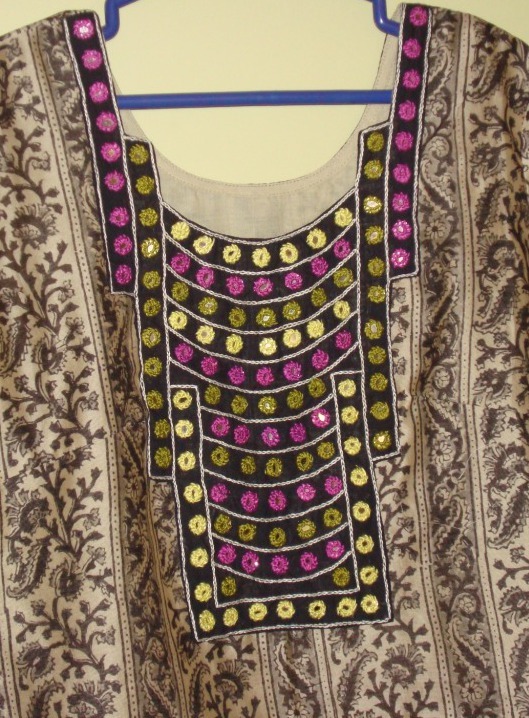 Now that the embroidery is completed, I have added the antique sequins. 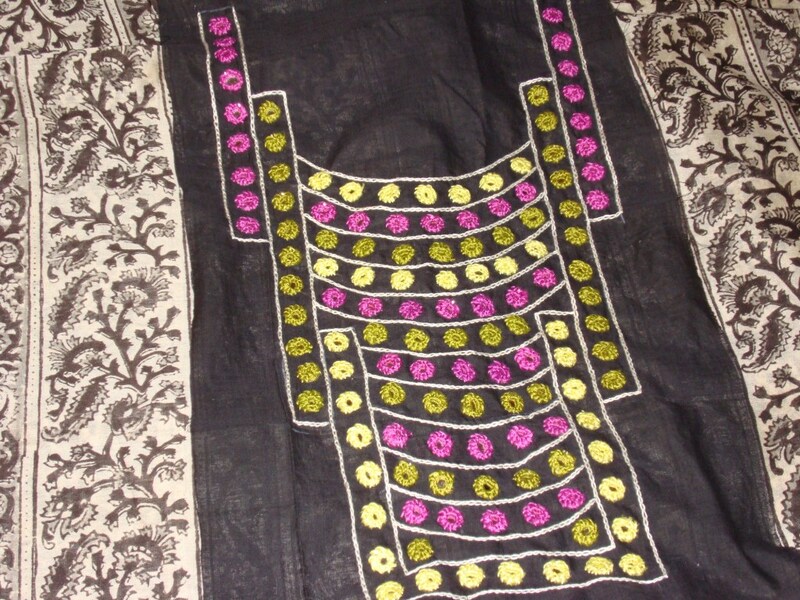 A leaf shaped sequin is attached to the centre of the motifs. The rest of the sequins are usual ones. I designed this yoke keeping in mind the different sequins, it was just a matter of choosing the different stitches, which would go well with the sequins. The border patterns would work well for decorative seams too. 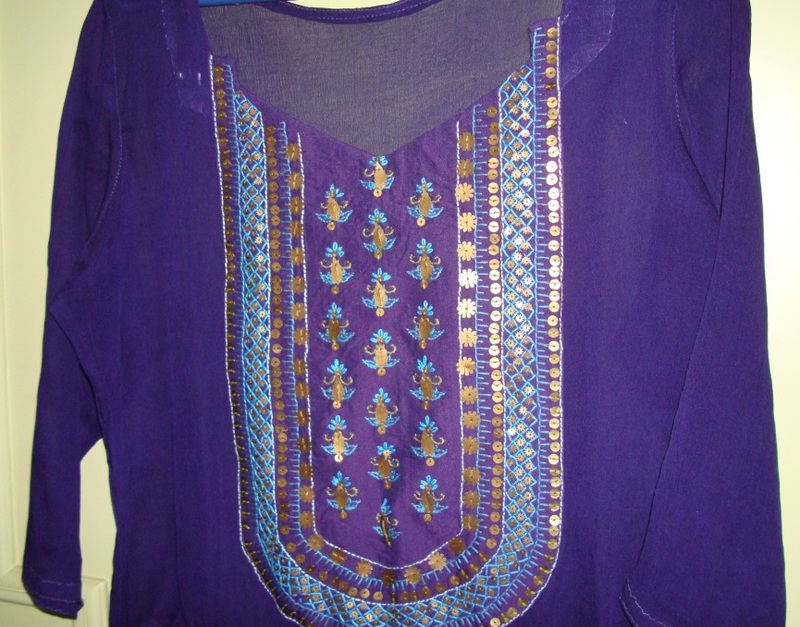 The tunic material is dark blue chiffon .I couldn’t find the exact colour material for the yoke. [After embroidering directly on georgette earlier for two tunics,, I learnt my lesson well. Not to do it again for a long time! ].The material was another dark blue with shades of violet. As you can see, it was not too different. After wearing it, I realized that it would have been better if it had been lined with another fabric. Also never thought that the sequins would stand so prominent in this colour. Iam still detailing this blue tunic in this post. 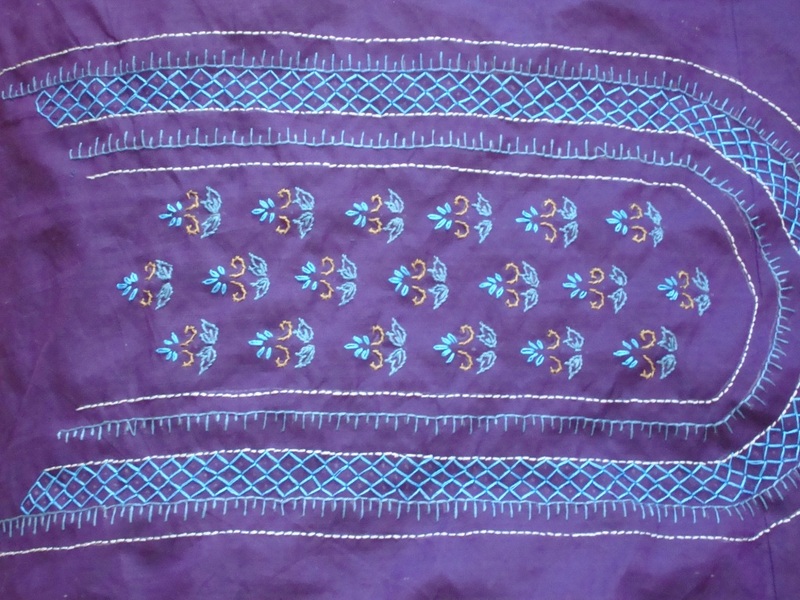 The small motifs are done in stem stitch, straight stitches,and detached chain. The border outlines are done in back stitch, buttonhole stitch variation and rows of arrowhead stitchor zigzag back stitch. Whenever I see any motif block printed fabric, I get fascinated. All kinds of different embroidery ideas float on my mind, to embellish them. For this yoke, I chose a simple motif pattern, and worked three different stitches. When I was busy getting inspired by the tunic on fashion show, I overlooked a small detail- the yoke was printed with the motifs! 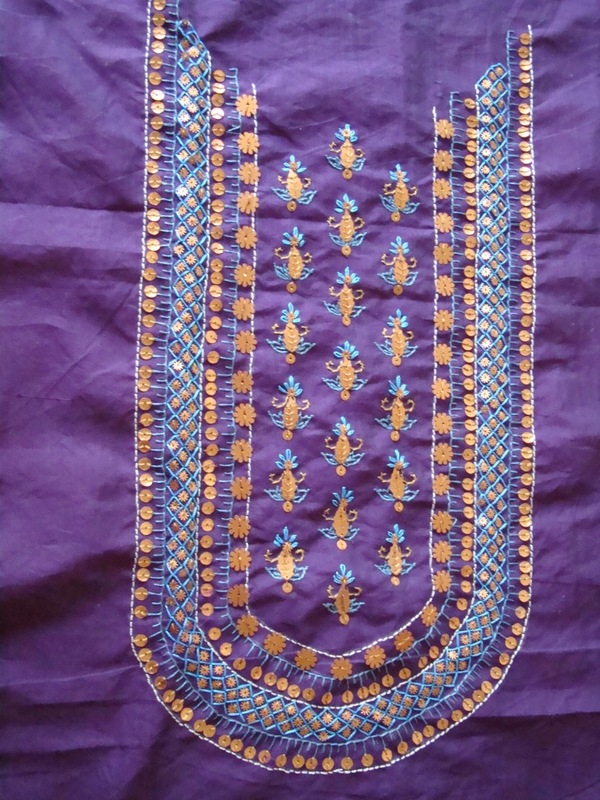 The embroidery was done only for the border. This detail I found after completing this tunic! it would have really saved time.